Sometimes I wish I was one of those people who can eat whatever they want and never gain weight. But I am not. My weight goes up and down throughout the year but I never allow myself to exceed a specific number. If I gain weight and I don’t feel good about it I will definitely work on losing it. But I don’t do diets as they are restricting and hard to follow. Although, I did go on a low-carb diet last year in winter and managed to lose a few pounds but it was too restricting and not healthy at all so I won’t be doing that again. Instead, I found a better way of losing weight which I will share in this post. In November I made a decision. I am going to lose some weight. There was one month when I just had too many treats and it wasn’t because I bought them, it was because they were available at work. So I gained some weight. Despite all the cycling I do. It’s funny actually, because I actually thought that by cycling to work every day I would manage to lose weight but I didn’t really. Cycling actually gave me an excuse to eat more! I just thought, that’s OK, I can have this biscuit or this cake because I cycle every day anyway and I would use those calories. This thinking led me to having too many treats over time which actually resulted in gain weight! I’ve learnt my lesson now so never again. When I made the decision to lose weight I also made a decision to avoid too many sweet treats, possibly not have them at all. Before you even start, get your head straight first – your mindset will have a big impact on your success. All you need to do is believe that you can do it, you can make the changes you need to make to lose weight. Also, remember to focus on positives – focus on being healthier, feeling more energetic and the good feeling when the weight comes off, how good it feels when your clothes feel looser. Your mindset will have a big impact on your weight loss. First, get into the right frame of mind and start believing that you can do it. Yes, you CAN lose weight. Say it loud! Another reason why I wanted to get slimmer was because December was coming and in December there is my birthday, there’s Christmas and the New Year’s Eve. I don’t want to hold back on those days. I want to celebrate! My biggest weakness is cakes and sweet stuff which I eat more than I should around those days so naturally, I gain a few pounds. On this blog I promote healthy eating but I am not shy of admitting that I do eat cakes and sweet treats when I want to. It’s all about the balance at the end of the day. So yeah, I just wanted to prepare myself for the season when I am likely to gain some weight, that’s another one of my ‘whys’. This time I didn’t go on any kind of diet at all. I just made some small changes in my life which all added up and helped me lose around 5 pounds. First of all, I stopped having a small portion of muesli in the morning so I would cycle to work on an empty stomach. My commute to work is not that easy, there are a few hills on the way which make me work pretty hard so when I arrive at work I am all sweaty and feel that I just had a good exercise. Exercising and having no breakfast means that your body relies on fat stores for energy. I believe that this definitely made some difference. Of course, I would still have my breakfast, but it would be slightly later in the morning. Interestingly, I did very well by not eating any cakes or desserts for a while and I had no cravings for them either. That just made things easier for me really. Instead, many times I was surprisingly craving a salad! I am not saying that you should totally give up all your favourite foods, no, this may not be the best idea. But what you should do is just think about the small changes you can make. Can you have only 1 biscuit instead of 2? Do you really need a big slice of cake? Why not have a smaller piece instead? Can you replace sugary drinks with something else? The key here is to change something for better, it doesn’t matter how small it is as small changes do add up. Dealing with sugar cravings can be hard, for women especially, who experience cravings before their period is due. It’s really important you know how to control your cravings as otherwise, all your good intentions will fall out of the window. I know exactly how to control my cravings. Basically, before a woman gets her period, she will have more need for certain nutrients, magnesium especially. Magnesium is a mineral found in chocolate, that’s why many women crave chocolate before their periods. But the dairy chocolate is full of sugar and not exactly healthy. A better choice is dark chocolate (at least 80% cocoa) but it’s even better if you consume other foods rich in magnesium such as dates, broccoli, certain nuts and green leafy veg. I do try and pay more attention to my diet about a week before my period is due, but it’s not always possible to get all the magnesium needed from the diet alone so I supplement. 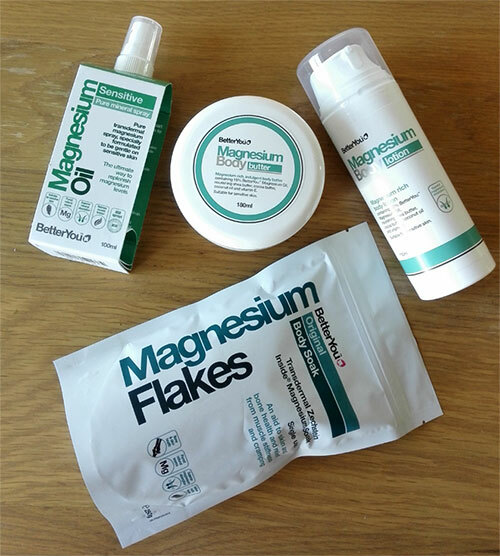 When it comes to magnesium I use a few magnesium products which I apply topically – these are from Better You (magnesium spray, magnesium butter and magnesium body lotion). These are not only good for controlling your cravings before your period is due but they are also great for your joints and muscles, especially after the exercise. If you are a man you shouldn’t experience the type of cravings women normally do – the key is a healthy and well-balanced diet full of nutrients from a variety of food sources. In this way, your body should get everything it needs from a diet and any cravings should actually disappear. Just making a few changes to your eating habits may not make a massive difference and if you really want to speed things up then the exercise is the answer. In order to boost your weight loss you should really be more active. It’s a good idea to focus on fat burning workouts if you can. When I was trying to lose some weight I was already pretty active, cycling to work every day, and going for short brisk walks during my lunchtime. But I felt I needed to do more. I believe what really helped me lose a few more pounds is the fitness DVD I introduced after a few weeks. 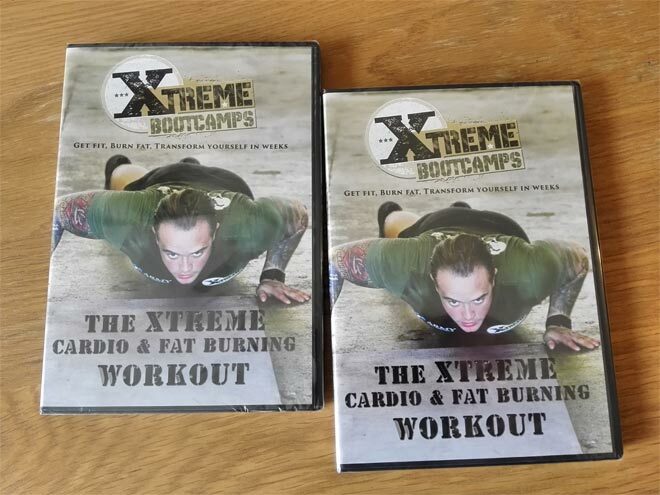 This fitness DVD from Extreme Bootcamps is hard, really hard and in the beginning, I could only do about 30 minutes of it. BUT, after a few more attempts, I managed to do 40 minutes and then finally the whole 60 minutes of it. The exercises are designed to work all your muscles and burn fat quicker. I felt it really made a difference to my body and helped to flatten my stomach. If you haven’t exercised in a while just start with walks first. Walk as much as you can and increase your time and intensity slowly. Most importantly, find the exercise you enjoy as only this way you will be more willing to do it regularly. Something to keep in mind – shorter intense workouts will help you lose weight quicker. 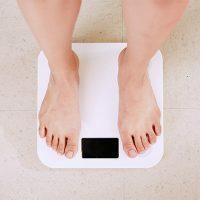 If you really want to lose weight and you are a regular drinker, consuming more than just a few pints of beer a week, then you really need to try reducing that. Alcohol has a lot of calories. One pint of beer, for example, has around 180 calories and to burn it off you would have to run for 13 minutes or cycle for 15 minutes (source). Is it really worth it? If you cannot totally give up alcohol, at least reduce the amount you drink. Luckily I am not a fan of alcohol so I don’t have to worry about this but it’s something that could make a lot of difference to somebody’s weight loss success. Remember to be consistent with your actions. Without this you will no doubt fail. It’s no point eating until you are 80% full five days a week but when the weekend comes you overeat until you cannot move. Stick to your decisions and keep your mind strong. Don’t give into temptation easily and when you feel tempted just remember what you what to achieve and why. Again, I am not saying not to have treats, just don’t have that many. I managed to lose about 5 pounds in less than a month by just making some small lifestyle changes and you can do it too. I know 5 pounds is not much but for me, it was a good outcome since I didn’t really need to lose much weight anyway. 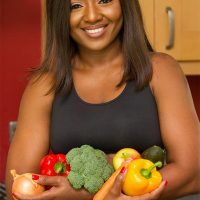 If you do follow any of my weight loss tips in this article and manage to succeed I would like to know! 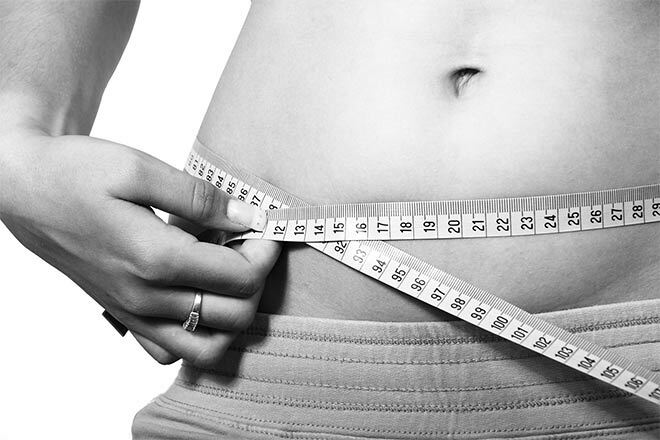 Are you planning on losing some weight in the near future? Do you already have a plan on how you are going to do it? What do you think it’s the best way of losing weight? What works for you? Share your weight loss tips below! Love this post – this is my exact philosophy on weightloss – having the right mindset and making little changes are SO important! I am glad you liked the post Zoe! Yes, this approach really works..
Well done on the weight loss! Totally agree with the mindset and making small changes can all make a contribution. Your points are really good and spot on. My weight has crept on over the years through my nightly glass of wine. I know it and yet do nothing about it. It adds up to nearly an extra day’s calories a week. Anyway Happy New Year. I hope 2017 will be a good one for you and your blog. Thanks Jac, happy New Year to you too! Yes, I understand some people are aware of their bad habits but they don’t do anything about them. Maybe you have to think about how those habits are affecting your health and decide whether it’s time for a change? Motivational tips for us! I’m gonna pin this post in my Pinterest weight loss board my followers will love it. Thanks, I am glad you found it useful! No, nobody should be on a diet around Christmas time! But if you are going to indulge a little bit then you should definitely pay more attention to food beforehand. I’ve been exercising so much recently that the diet part of things has gone completely out of the window. I’ve found that exercising 3-4 times a week works well for me combined with eating fresh fruit and veg. 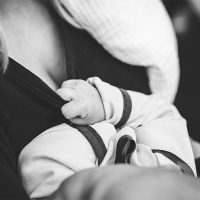 A very well written and informative article. Thanks alot for sharing this! I love your blog- always inspiring and informative, looking forward to read more articles from this blog.